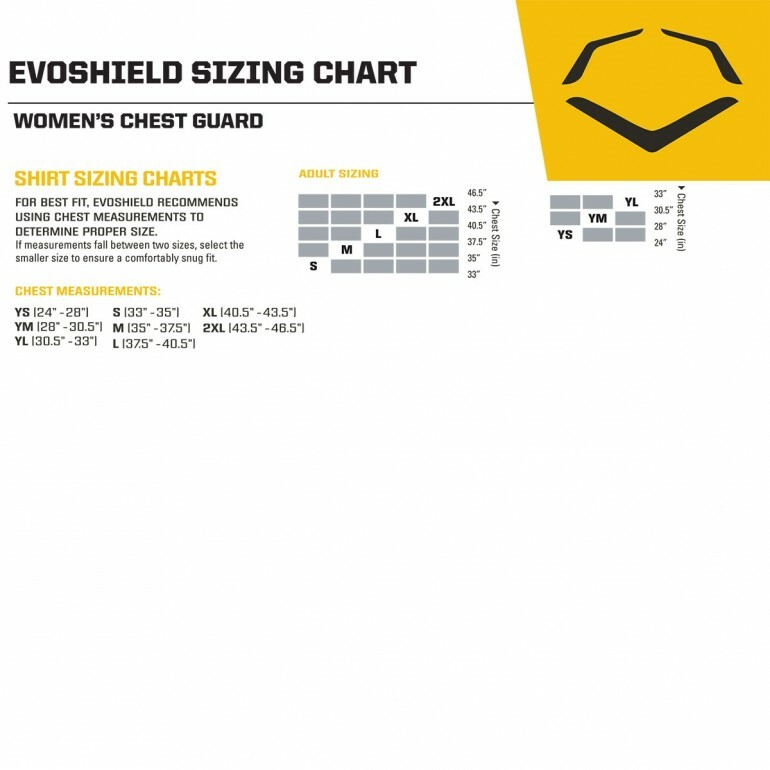 The Evoshield women's/girl's racerback chest guard designed to allow complete flexibility via EvoShield's patented Gel-To-Shell technology. 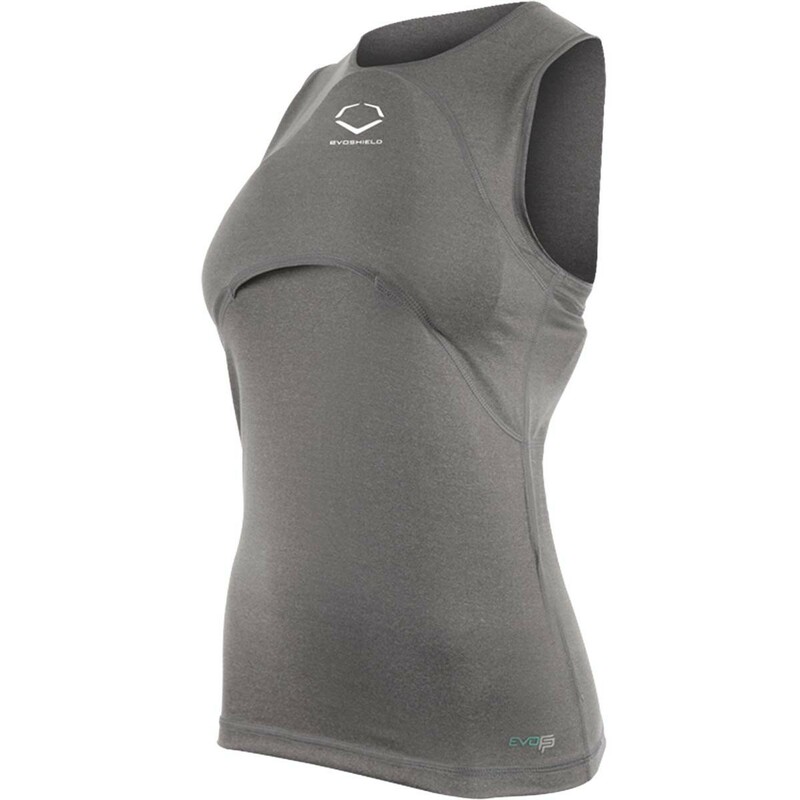 This sweat-wicking racerback shirt features a custom molding shield that conforms to the female athlete's body shape for a perfect fit. 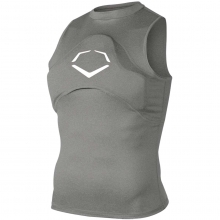 Boost your confidence and take your game to the next level with the racerback chest guard.